"to support and encourage the work of our brothers and sisters in Christ in the country of Haiti and to support the ministries of their churches, giving special emphasis to helping with the ministries of their schools. We strive to demonstrate the love of Christ through works of service to these churches as well as to other Christian missions and missionaries in the country of Haiti as we have opportunity – to be God’s “hands and feet” and His servants to His children in Haiti." 100% of your sponsorship payment goes toward meeting these needs of the children in the schools - none of it goes toward the administrative expenses of this program here in the United States. 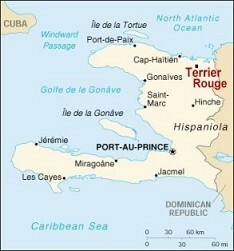 Why Haiti? Why should we help? Only 700 miles off the coast of Florida, Haiti is the poorest country in the Western Hemisphere and the third hungriest country in the world. 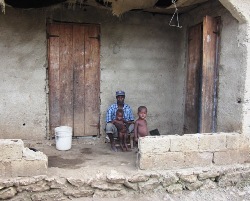 80% of the population lives below the level of absolute poverty. One out of 8 children will not live to see their 5th birthday. Malnutrition strikes 3 out of 4 children. Malnutrition, respiratory infection and diarrhea are the leading causes of childhood death. Less than half of the population has access to health care. There are 3,970 babies born infected with the HIV virus each year, over 11 each day. The average life expectancy is age 50. Recent statistics put the unemployment rate at 70%, and over half of the population is illiterate. In January of 2003 Pastor Noël gave us a list with the names of 57 children who needed financial assistance to be able to attend the school run by L'eglise Baptiste de Terrier Rouge. 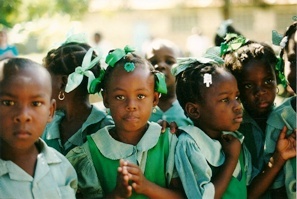 This was the start of the His Hands for Haiti Child Sponsorship Program. Today we continue to work alongside Pastor Noël and the pastors in the other communities he has sent us to as a way to enhance these ministries by providing the pastors with financial support to increase their opportunities to share the love of Jesus with the children in their communities. 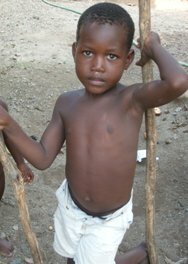 For only $10.00 per month you can send a child to school and help change their life. To learn more, please visit our Sponsorship page or contact us.